ORLANDO, Fla. (October 15, 2014) - Readers of the new Ripley's Believe It or Not! book Reality Shock! know the strange stories, fun facts and bizarre bits are good for hours of entertainment. But now knowing some of those stories could win people some awesome prizes as well. Ripley's Believe It or Not! has launched the Reality Shock! Getaway contest, featuring weekly prizes and an unbelievable grand prize. Take the weekly book quiz and pick the "Believe It" story that comes from the pages of Reality Shock! Players earn points for taking each weekly quiz and are eligible to win weekly prizes, including Ripley's books, toys and tickets. Players who earn enough points to reach the "Unbelievable" level will be entered into the grand prize drawing. The tour of the Ripley's Collection is a once-in-a-lifetime chance to see where the company stores its vast collection of oddities. Edward Meyer, Ripley's VP of Exhibits and Archives, will give the winner a personal tour and share some of the amazing facts and stories behind the thousands of items in the collection, each carefully catalogued and researched. Reality Shock! 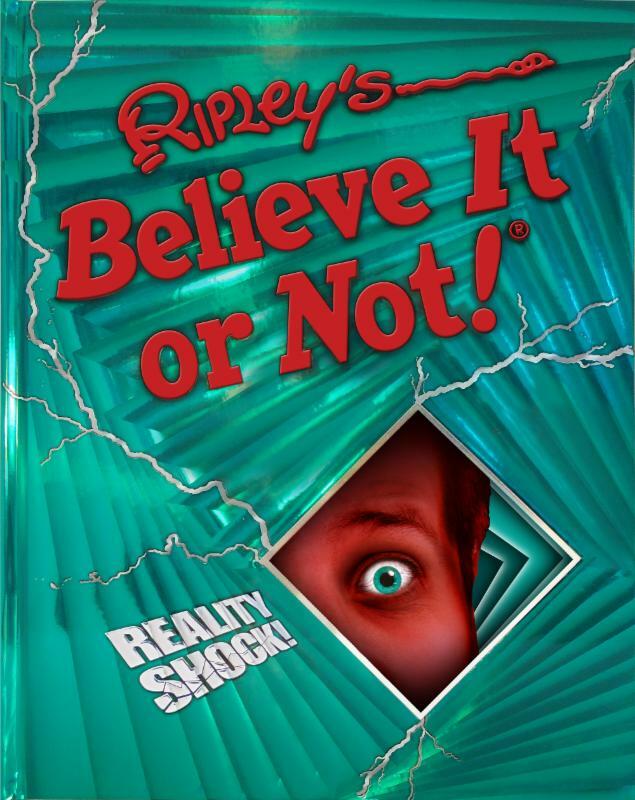 delivers strange stories, bizarre bits and twisted tales like only Ripley's Believe It or Not! can. The content ranges from cute to creepy; what's "great!" to one reader is just plain "gross!" to another - that's part of the fun of Reality Shock!